Media’s situation is deteriorating in Syria amid the absence of care and attention of a number of international media organizations regarding the Syrian crisis and the sharply decrease of media coverage in the last year compared to previous years. Activists risk their lives to report what is happening in Syria, however, they are met with oppression, killing, arrests and threats. 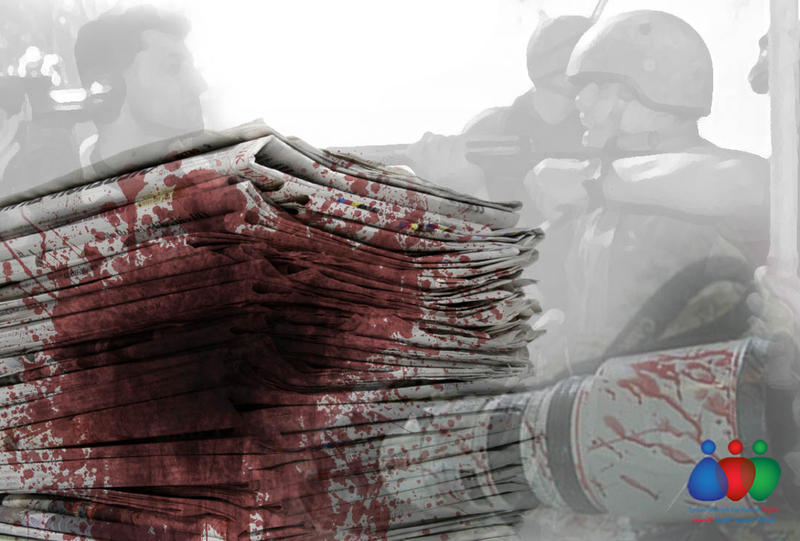 Since the beginning of the uprising in March 2011 and up to this moment, the Syrian media arena has been losing its prominent media activists each month, who risk their lives to document crimes being committed against Syrian citizens. They were killed, arrested, kidnapped, harassed, seriously injured, suffered from permanent injuries, or forced to disappear midst international silence that ignored their suffering, basic rights to be protected and safe and without holding the perpetrators accountable for their violations against them. All these violations did not change the international community’s efforts towards the Syrian cause. SNHR affirms the importance of protecting mass media in Syria, renews its condemnation of all violations committed against media activists, and assures the importance of respecting the freedom of working in media. The International community, characterized by the Security Council has to hold liability for not protecting journalists and media activists in Syria.